Back in December, I wrote about how I was scared of PucaTrade. I was worried about how point buying influences this economy, and recently Travis wrote about what Puca is good for. I am here, hat in hand, to say that I was wrong. PucaTrade is worth using. However, it’s not as easy as the developers want to make it sound. What they want you to believe is that you send off cards, and then you get the cards that you want. For many people, it is exactly that. However, Puca also offers an interesting look into some of our buying and selling habits, as well as providing some fascinating insights. So what are the ideas I’ve come around on? #1: You can get expensive cards, it just won’t happen by itself. 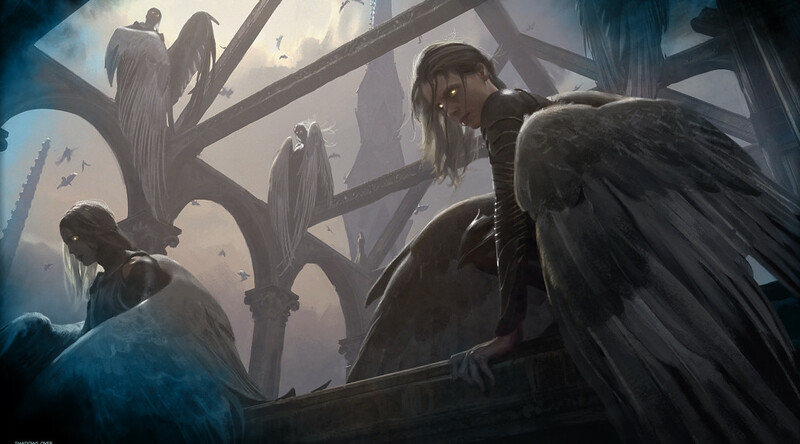 James Chillcott and I had a great conversation on Twitter a few weeks back, about building a network on Puca and being the one who has points available for any card. I scoffed, wanting to keep my free account, but I broke down and got the upgrade to Uncommon so I could offer a bounty on the Gaea’s Cradle I wanted so badly. Even with my name changed to “10% on Cradle!” I wasn’t getting what I wanted. Then I saw on Twitter that someone had gotten a new Cradle and wanted to sell it. I asked if he was interested in selling it for points (it was not NM) and we agreed on a price. Done. Now my token deck is ready to rock again. There’s a lot of people on Pucatrade offering bonuses for their wants, for Power, for foils, you name it. Having the points is very good, but doing the work and making those connections will pay off as well. #2: Spikes are still handled badly. In case you like your life under a rock, lots of cards had a spike in price this week after the Banned and Restricted announcement. Several cards on Puca were taken off of want lists by administrators, because the price went very high without a lot of warning. The example I want to use is Time Sieve. Time Sieve is pretty amazing with the Thopter/Sword combo. Five mana gets you five life, five tokens, and an extra turn. Quite the loop and tough to deal with. Naturally, this card has seen a spike this week, from being about $2, up to $20, and now about $13. PucaTrade, after several cycles of dealing with these spikes, has instituted a system where cards are flagged, and when they are flagged enough, they are not allowed to be traded anymore. Their reasoning is like this: For every one person who says “2000 points to get a Time Sieve! Awesome! !” there are at least five people who had Time Sieve on their want list when it was 200 points, and did not want the card at the spiked price. Yesterday, Thursday, I saw that someone had just added Time Sieve to their want list and I clicked to send it, only to have them request a cancellation two hours later because they didn’t want it at the current 1400-point price. Hellaciously annoying. #3: No system for less-than-NM conditions or foreign languages. This is more of a problem that you might think, especially considering the number of people who want older cards. It’s next to impossible to find Alpha or Beta cards in NM condition, just because of how things were. Playing in penny sleeves is awful, and I remember the summer when the first ‘black backs’ came out. So on Pucatrade, someone has to be paying for Uncommon level or more, so that some points can be exchanged. I send a card, and when I get the points transferred, I have to send some points back. Or they send me the card outside of the official trade system, and I send them an agreed-upon number of points as a gift. Same thing with foreign editions, or signed cards, etc. It’s not unmanageable, but it is sort of a pain. #4: It’s a fantastic way to turn old cards into new cards! I kid you not, I carried a playset of Flying Men around in my binder for years. Years! I knew one day I’d meet someone who wanted them. Spoiler alert: I never did. I’ve gotten to turn those into the aforementioned Cradle, lots of EDH foils, and standard specs. Standard cards are incredibly easy to get with PucaPoints, I’ve been looking for a foil Future Sight Graven Cairns for three months now, but when I wanted playsets of Radiant Flames and Painful Truths, those were in my hands within a week. Pro Tip for foiling out a Commander deck: Get your foil version, and then send the nonfoil out for more points. #5: Patience, when getting or giving cards. You don’t need to maximize the refreshes that way, just log in once a day and check on what’s needed. Puca has gotten big enough that cards or points rarely languish. Same thing with your wants. Have your want list, let it sit. Be patient. Make some connections. Ask people, talk to them. Puca does tell you how many people have a card on their Have list, though as far as I know, you can’t find those people directly. I’d love to hear your experiences with Puca. Tell me the good and the bad. I’ve been on both sides of the fence, and I can absolutely see a day when I stop using it. I admit, I’ve spent a lot more on stamps than I ever thought I would, and I’ve even had to buy extra toploaders! So let’s hear your thoughts, here in the comments or over in the forums. I stopped using Puca mainly because i almost never recieved a foil in nm condition, i got so many beaten up cards I just gave up, id spent so much time opening cases and taking photos that i might as well just buy from a store. Also had a few times where people agreed to send cards, and then seemingly just didnt- locking up my points for a month by which point i could afford the cards any more. I quickly realized how vulnerable you are on the receiving end when I sent pictures to the sender of the scratched up foil and the sender refused to acknowledge that was his card. “I quality control my cards,” he said. After that, I started filming me opening foils and showing the condition all in one swoop (envelope, opening it, taking card out, showing it under various direct angles of nice 5k LED light. Foils are all I really want, so I, too, got tired of it. I quit about 3 months ago and haven’t looked back. Good stuff! Welcome back to Puca, Cliff. I’ll throw this out to start things with: I’m a huge fan of Puca! Been using it for a year now (6 months in a more serious way) and it has done wonders for me. 1 – handle your expectations in the best way possible. 2 – adapt to make Puca work for you. And work for you it can. Be it Power hunting, foiling that sweet deck or pure speculation, Puca can deliver. Just know your place in the system and what you have to do to get there. Got cut out in that last sentence, phone typing is a world of its own! What I meant to say is that they do have an anti spike tool available for Rares that specifically prevents these issues. I use it all the time, so I was unaware of this flagging mechanism. I’ve been using Pucatrade for a year now, and though I am very satified, I have become a bit more hesitant recently. For those unaware, the MagicTCG subreddit recently featured a well written thread about Pucatrade and the dangerous way the administrators have treated puca points. The site lists 100 pp = 1$. You can however get them online for .60c. In response, Pucatrade changed its Licence Agreement, stating that pucapoints aren’t allowed to be traded outside of the site itself. They also reward people online with Pucapoints; for instance when you write a glowing review, or when you do an interview with the administrator. These are severe infractions that hamper Pucatrade’s already insecure monetary system. They are essentially printing their own money, and paying people with their users’s cards. I’ve decided to keep my account’s balance low. I don’t want Pucatrade to go belly up and leave me with a substantial amount of suddenly worthless internet points. It is not uncommon whatsoever for there to be an “official” rate for an online currency, while the secondary market treats it differently. 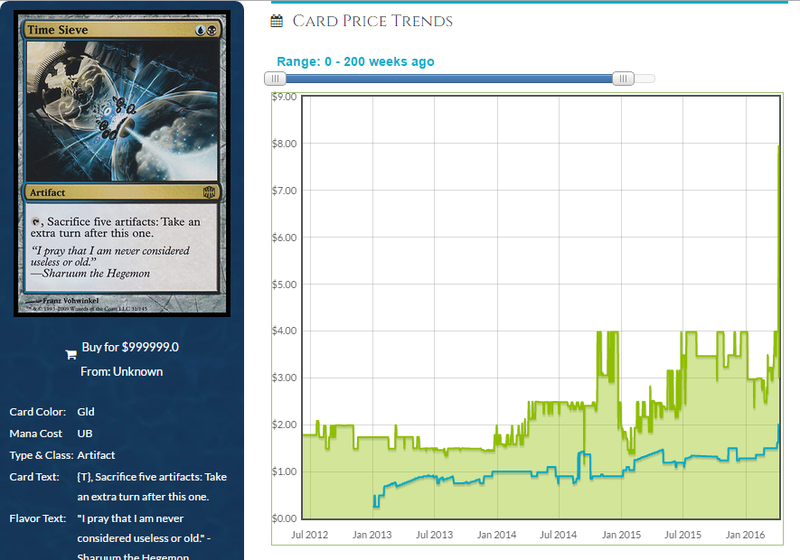 WotC charges $1 per ticket on MTGO, but they’re less than that between users. D2jsp, a site that was used heavily in the early 2000’s for buying and selling video game items, did the exact same thing. Similarly, technically prohibiting the secondary sale of points is standard practice. I could see maybe taking issue with being rewarded with points if you do something they like, but would you be upset if Adidas sent someone a $10 gift card because they left a glowing Amazon review for a pair of sneakers? If Puca started explicitly paying people points to write reviews/articles that would be one thing, but intermittently rewarding those who have already done it is also common business practice. I should have added that PucaTrade offered me 2500 points something like three and a half years ago to write about them for my old Commander blog. I never took them up on it. Your gift card example is different. In your example, they are essentially giving product from their store, not creating currency. Where are you sourcing this? I’ve been involved with PucaTrade for a long time, since 2013. They pay their columnists in PucaPoints – about $20 per article. But that is for content creation on the site – not to promote the site via outside sources. I have mixed experiences. On one side there is the majority of users I encountered who are righteous, not picky at all and can be negotiated with. On the other side are those, who simply don’t send the cards or don’t admit they arrived. Yes, those exist and it’s a shame. I got the points in the end, but it still feels bad not to know if the trade is void. Other than that: Puca is not for financiers, but for traders. I also have had issues with getting cards in crap condition. The solution? Be VERY specific in your profile. Puca can have all the rules they want, but the majority of users don’t read them (at) all. I added VERY clear requirements in my profile, and for some reason, almost EVERYone reads my profile before sending. I made about 100,000 pts worth of trades without being explicit – with about a 15% rate of crappy condition/wrong version/wrong-language before changing my profile. SINCE adding the requirements in my profile, I’ve made about 100,000 pts worth of trades with about a 2-3% rate of crappiness. I always love reading your articles, especially when they are about Puca Trade. I love puca trade and have traded some cards. The one problem is, that I am from Germany and many people are afraid of shipping to Europe, so I always try to encourage people to trade with me. There has been almost no problem with trading with USA puca traders.